The rocketeers at Plantation High School and their counterparts at Western High in Davie are going to the National Rocketry Finals in Virginia next month. The next generation of NASA astronauts and SpaceX engineers might be training right now at two Broward County high schools. 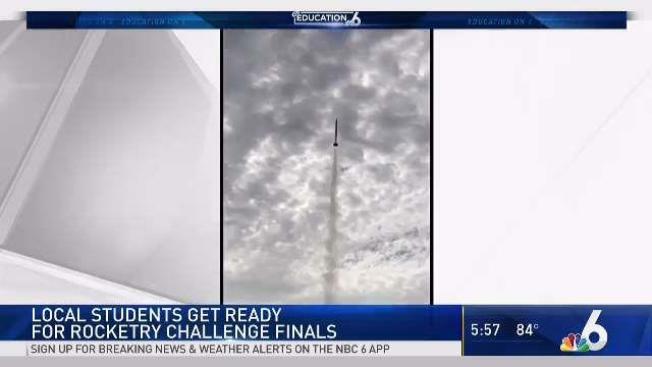 The rocketeers at Plantation High School and the team at Western High in Davie have each blasted off into the Team America Rocketry Challenge, sort of the national finals for rocketry, which will be held in Virginia next month. “Oh my goodness, this is incredible, they have put so much work, we all have put in so much work,” said Magda Murphy-Bozkurt, the physics teacher who sponsors the rocketry club at Western High. The TARC is the culmination of an entire school year of preparation. “We have a full year for the competition but we need almost every single weekend to practice, to get ready, get our qualification flights,” said Dylan Ogrodowski, the president of Western’s rocket club. The students have to design and program their rockets to fly exactly 800 feet up and then land within 43 seconds, and oh yeah, two eggs inside the rocket must be intact when it returns to earth. “So we get a problem and our job as engineers is to solve it,” said Alan George of Plantation High’s aerospace club. “They have to learn how to express themselves, they have to put things together as an engineer, apply what they have learned in class, it’s beautiful,” said Murphy-Bozkurt. Her counterpart at Plantation, Joe Vallone, says the kids learn so many skills that help them in any endeavor. “The teamwork that’s going on, interpersonal skills, they’re learning a lot of engineering, a lot of measurement,” said Joe Vallone, the aerospace teacher at Plantation High. Students told us they’re learning time management, communication skills, but most importantly, they say it’s just a huge rush. “The coolest thing, of course, is to see our hard work really flying,” said Gabriella Lochan, a member of Plantation High’s team. The rocketry teams work during school, after school, on weekends, it’s a sky-high commitment to perfect their rockets. Making it to the national finals is a major honor. Of the 800 schools that apply, 100 are selected to compete. Plantation has been there 15 years in a row. Western is on a four-year streak. So failure is not an option, or is it? “You don’t know what’s gonna happen, anything can happen, you can have an engine failure, the thing could explode,” said Jake Ferreira, a senior at Western High. The future rocket scientists learn the trial and error process, they learn how to overcome obstacles, and they have liftoff. They definitely have liftoff.